NAMM 2011 — The AC30C2 tube combo amp – a worldwide favorite – is now available in a limited Vintage Red edition. From their earliest origins to the present day, Vox has sent numerous custom-color and limited-color amplifiers out into the world. Ranging from standard colors such as gray, blue, green, and purple to original colors such as two-tone and tan, this range of variation goes far beyond that of other amp brands. After a week of testing, let me introduce, the one and only VOX Mini3 portable guitar modeling amplifier. I received VOX Mini3 for review purposes, and let me tell you, this little amp didn’t disappoint. What is a modeling amplifier? I won’t go into amplifier classes too deeply and the difference between “real” and “not real” amps. This is a subject for some other article, this debate is 20 years old or so, when modeling amps started to hit the market. It will be better to picture a machine that with the press of a button, or twist of a knob, could change between the sound of a Fender or Gibson, Marshall or Vox amps. Also with a Mini3 you can choose sounds from 50’s to 90’s, from classic Chicago blues tone, via UK ’70 & 80’s and finishing with a powerful and heavy sound for metal acts wielding guitars. Modeling amps are for guitar players who want to get a tonal palette that they wouldn’t have access to with just one amp. 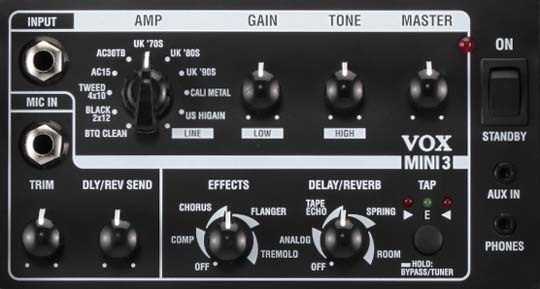 On VOX Mini3 you have 11 amp models! Well, I know I got this amp as a review item, and I don’t want to check how much it cost, but just for purpose of the review I will. For just about $100 you get much more than competitors with a higher price. First, this is a British product with a long heritage. Secondly, they have a great respect from musician community and music industry. There is nobody on this planet who didn’t hear about the Beatles! In 1950’s when the Beatles just started, they chose VOX amps and that would come to define the British Valvetronix sound for years to come! 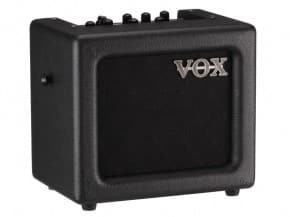 For less than one Benjamin you get 11 amplifiers in one, with 8 different effects, bunch of inputs and outputs, so you can connect microphone,bass guitar, MP3 players, CD players, and adjust it separately to become a genuine one man band and a piece of that VOX history! 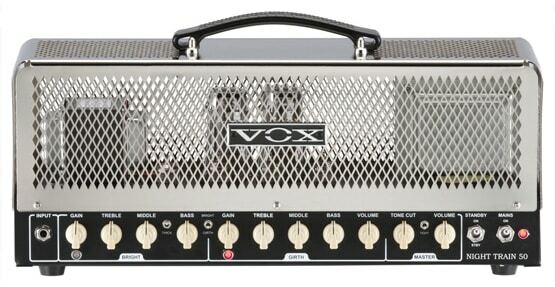 The compact Mini3 features 3 Watts thru 5″ speaker a stellar tones inherited from the VOX Valvetronix series. Also with a great input logic, which include an AUX IN Jack, for connecting an external audio devices like MP3 player, and a MIC IN jack. You can play along with recorded music accompany your vocals on guitar. Another great feature is that you can also adjust the send level from the MIC IN jack to the DELAY/REVERB effects by using the dedicated DLY/REV SEND knob. Battery or AC powered – This portable amplifier is powered by 6 AA batteries or with an AC adapter, enabling you to play anywhere. Built in Tuner – very simple but effective tuner for adjusting your 6th string via INPUT jack. 1. INPUT jack – This is where you plug in your guitar. 2. MIC IN jack – Connect a microphone here. 3. TRIM knob – Enables you to adjust the volume level of the microphone input. 4. DLY/REV SEND knob – Enables you to adjust the send level from the microphone input to the delay/reverb effects. 5. AMP selector – Enables you to select an amp model. From blues to heavy metal, all this at your fingertips. 6. GAIN knob – This knob enables you to adjust the pre amp gain for the selected amp model. 7. TONE knob – This knob enables you to adjust the tonal color. 8. MASTER volume – This knob adjusts the overall volume of the amplifier. 9. EFFECTS knob – This knob enables you to select the effect type and set intensity of the effect. 10. DELAY/REVERB knob – This knob enables you to select a delay/reverb-type effect and set the intensity of the effect. 11. TAP switch with LED/TUNER indicator – this switch enables you to set the time of the DELAY and REVERB effects. Also by pressing and holding the switch, it goes to tuner mode and with leds you can tune in your 6th string and the other accordingly. VOX Amplification has added the new NT2 Lil’ Night Train to its Night Train amplifier lineup. Lil’ Night Train is an all-tube lunchbox-style amp that comes complete with a matching 1×10″ Celestion speaker cabinet. Weighing in at less than five pounds, the Lil’ Night Train is truly little, making it excellent for effortless portability. 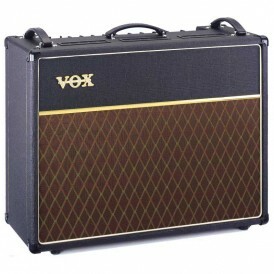 VOX Amplification has announced an entirely new lineup of hand-wired AC15 and AC30 amplifiers. The Hand-Wired Series includes innovations to satisfy the versatility a modern player needs. Included are four combo models, plus a head and matching extension cabinet. 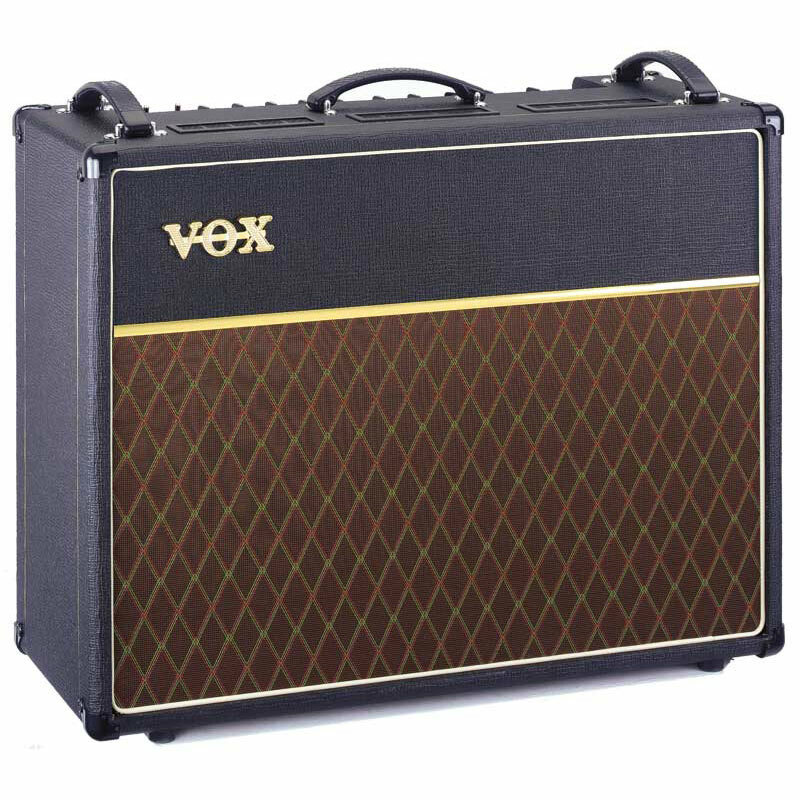 The ultimate take on the VOX classics, these amplifiers make use of high quality components, an all-tube design, hand-wired turret board construction, and over 50 years of VOX AC15 and AC30 refinements.